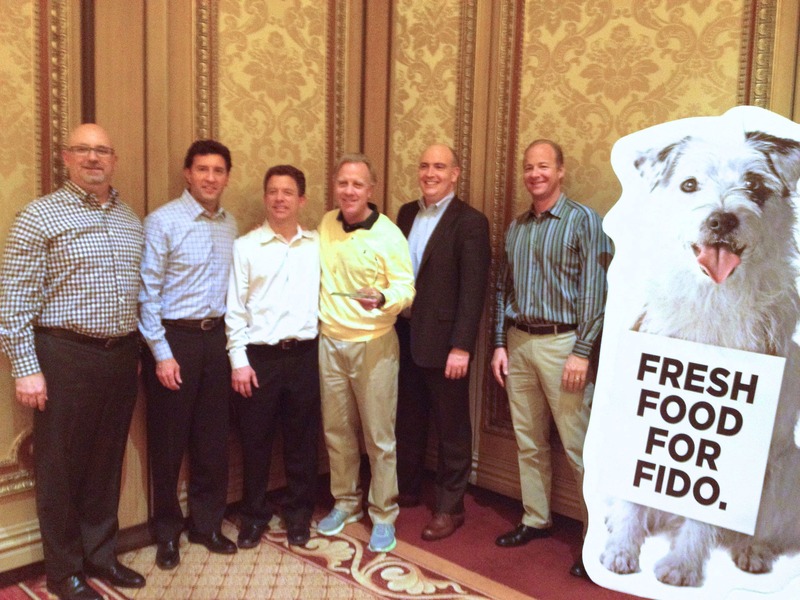 During our last Freshpet team meeting, we received a visit from Petco with a very special surprise: they had awarded us with the 2012 Business Development Partner of the Year award! Petco gives out this honor each year to recognize fellow leaders in pet care for going above and beyond the usual needs of consumers. When we created Freshpet just a handful of years ago, we recognized that people had started choosing fresh, natural foods for their families, and decided to make something just as wholesome and fresh for pet parents to feed their fur-kids. As our company grows, we’re proud to be recognized by Petco, a pet store that shares in our goal to better the lives of pets and pet parents. Throughout the years, Petco has been an outstanding supporter of our fresh food. Early on, Petco recognized the importance and significant benefits of feeding dogs and cats fresh/refrigerated food. In fact, Petco was the first retailer to begin selling Freshpet nation-wide, making fresh food more readily available to more dogs and kitties across the country. Our partnership continues to grow as we both work towards a common mission and continue to push the pet care industry forward. We are very excited for what the future will bring to Freshpet and to our friends at Petco… but mostly to all pups and kitties across the country!